Libraries Week is our chance to celebrate libraries and to demonstrate just how much they deliver in terms of supporting education and career development; combatting social isolation; creating stronger communities; and improving health and wellbeing. Our Reading Well programme began in 2013 to help people to manage their mental health and well-being through self help reading. Developed in partnership with The Reading Agency as part of our Universal Health Offer, the programme now has four reading lists and has reached over 778,000 people to date. Reading is an effective, self-help, early intervention and prevention health tool that delivers multiple health benefits, while reading groups act as a social connector, helping to combat social isolation. As such, libraries must be recognised as a key strategic partner to help deliver local and national government priorities to tackle poor mental health and improve wellbeing. The experience of Books on Prescription shows that arts and cultural organisations like libraries can play an invaluable role in delivering public health services. Three different libraries services reveal the the impact the scheme has had on their users. 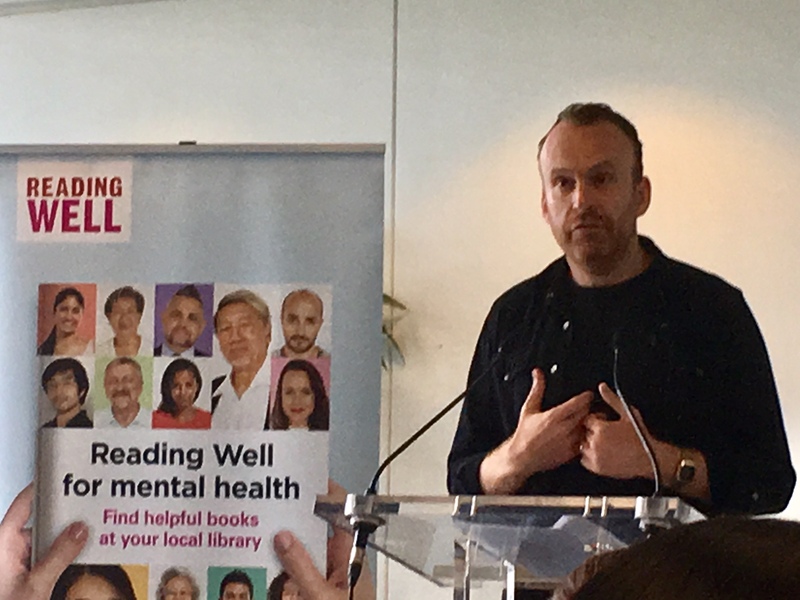 The contribution of reading and libraries to mental health was centre stage at last Tuesday’s launch of the latest list.